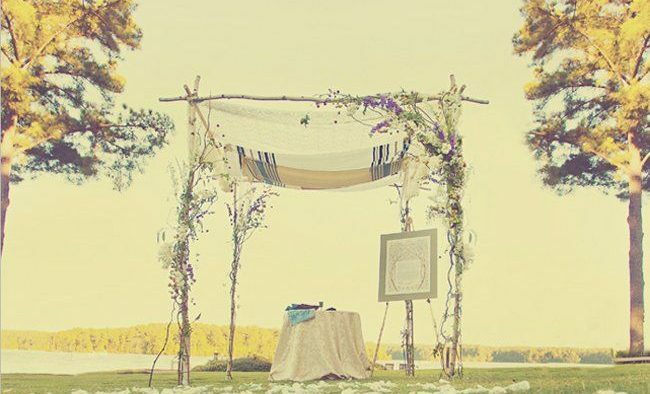 The heart of the ceremony, the spot where you’ll say, “I do,” and where you will be officially pronounced husband and wife; the chuppah (huppah) or wedding canopy is a vital element of the Jewish wedding. 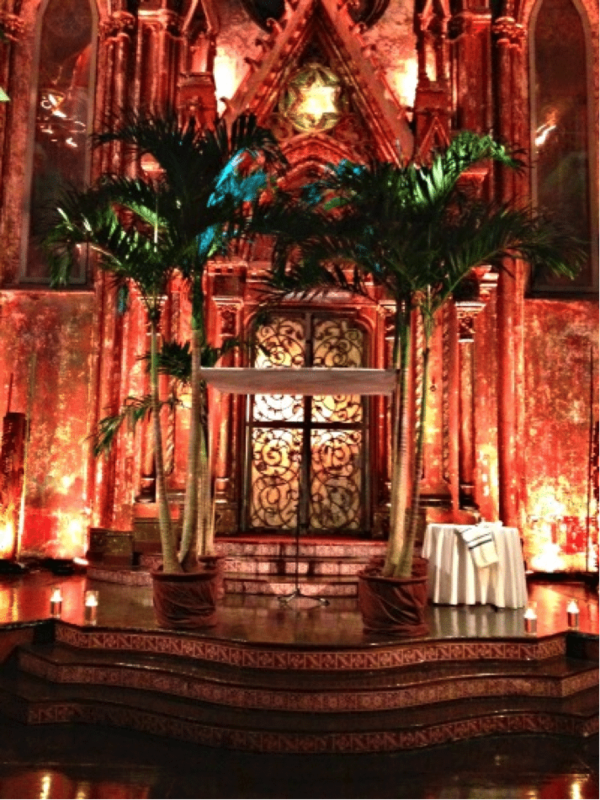 Just because this ceremony custom is traditional, the details that adorn and make up the chuppah can be anything but! In an age of endless possibilities, you can let your personality and wedding vision be the inspiration for your chuppah to make it distinctively yours. A modern twist on an ancient tradition, a sleek alternative for the modern couple includes everything from sharp lines to striking structures. This is perfect for the couple with a neutral color palette and one vibrant feature color. 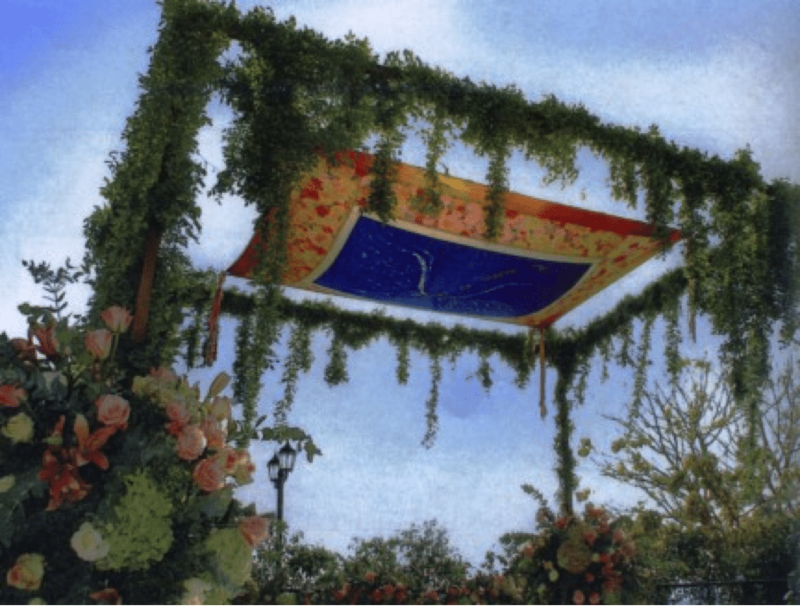 Your taste in art is amazing, so why not let that reflect in designing your chuppah? 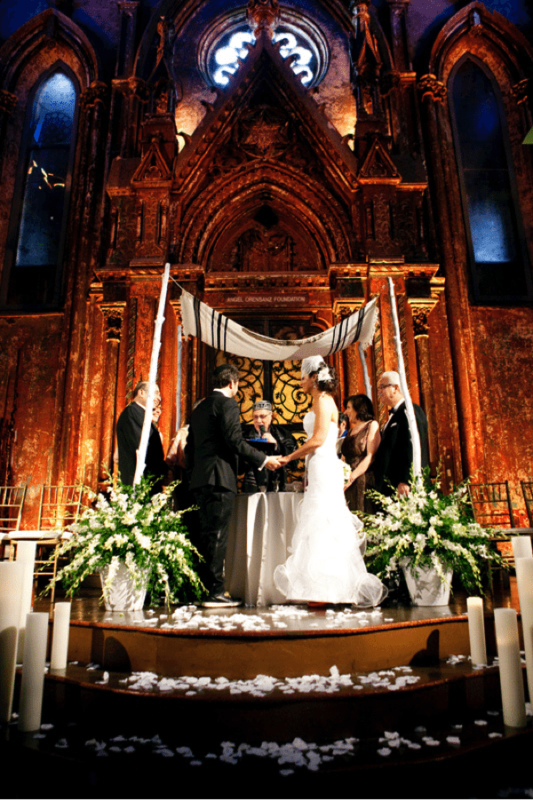 Whatever your color scheme and personal preference may be, a custom-designed chuppah is perfect for the artistic couple. Through pieces of art, your chuppah can mirror your wedding theme, favorite colors and symbols that mean so much to the both of you. We love this idea especially because it is the gift that keeps on giving! After the wedding, take this artwork and hang it in your home as the perfect memory of one of the most important days of your life. 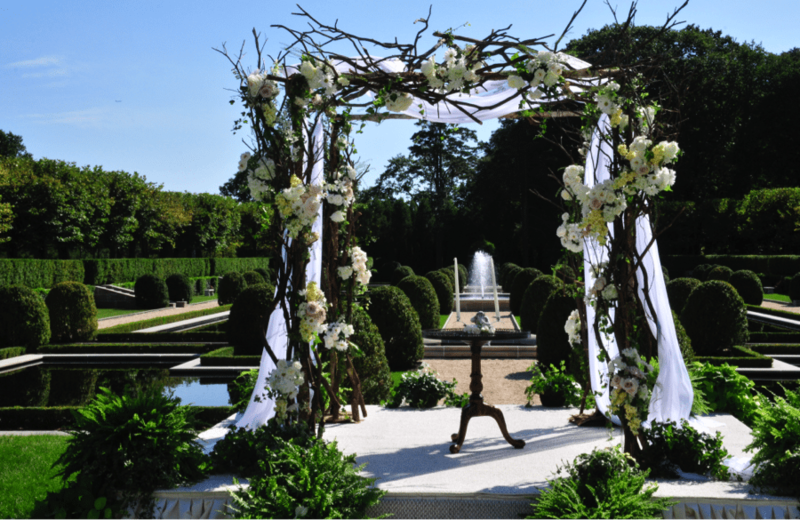 Nothing speaks more of romance then incorporating floral to the timeless and classic design of your chuppah. This is the perfect way to make your entire wedding floral vision come together, from the bridesmaid bouquets to the reception centerpieces. For the hopeless romantic, including hues of blush pinks and buttery whites are the perfect flowers to convey a passionate ambiance. If you’re a lover of all things rustic and green let your chuppah be just that! Whether your ceremony is on a sizzling summer day or in a winter wonderland, designing the chuppah foundation to be structured out of branches, lush greenery and wildflower floral will emit the perfect rustic-chic style. For the sentimental couple, there is nothing sweeter than having a personal touch in any possible aspect of the wedding décor. A “sign-in chuppah” can replace the traditional guest book! Guests can be asked to write a message to the bride and groom on fabric that will be draped over the chuppah structure. The fabric, filled with well wishes and congratulations, can also showcase the wedding colors. While these trendy suggestions may be great for some, what truly matters is what the couple fancies the most. If you realize you want to carry on the age-old traditional chuppah, we completely encourage you to do so! 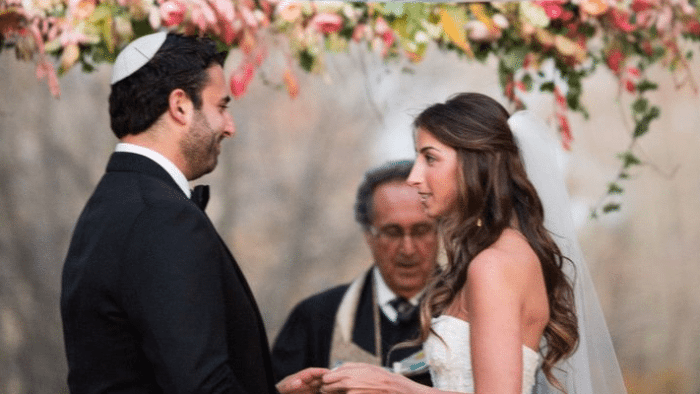 Having the four posts with a tallit (Jewish prayer shawl) hung above you as you exchange vows is a classic option that stands the test of time. However you decide to design your chuppah, make sure it reflects your personality and wedding style! Cigall Goldman is the founder of Mazelmoments.com, the award-winning website that makes it easy and fun to plan any Jewish-inspired event including a wedding, bar & bat mitzvah or baby celebration. At mazelmoments, find your perfect venue, photographer, décor, invitations, music & entertainment and more! The mazelmoments blog keeps you up to date on the latest trends, and shares expert advice to help you create an unforgettable celebration! What Happens at a Jewish Wedding?